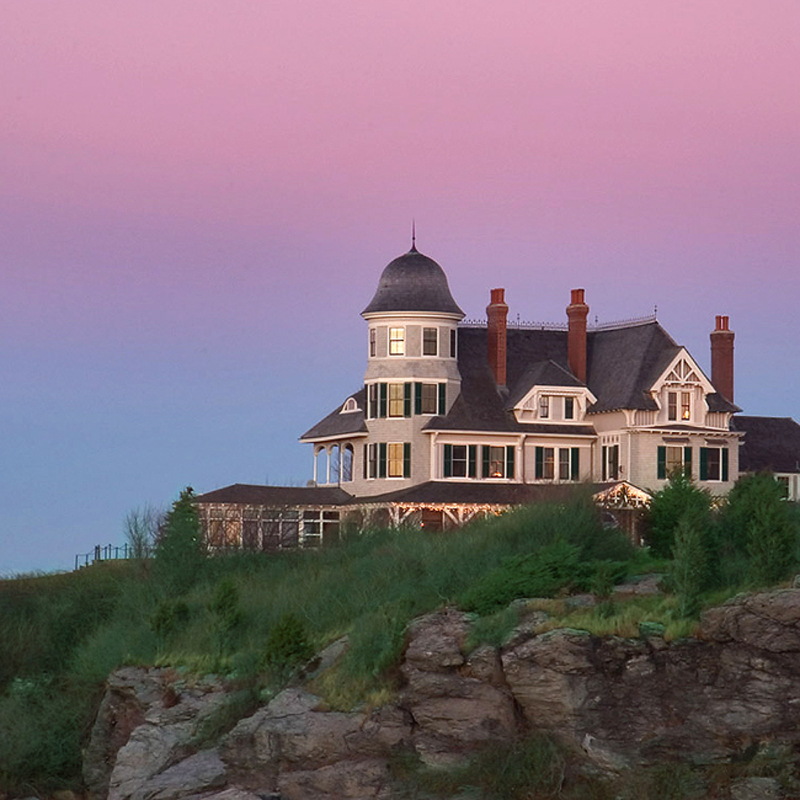 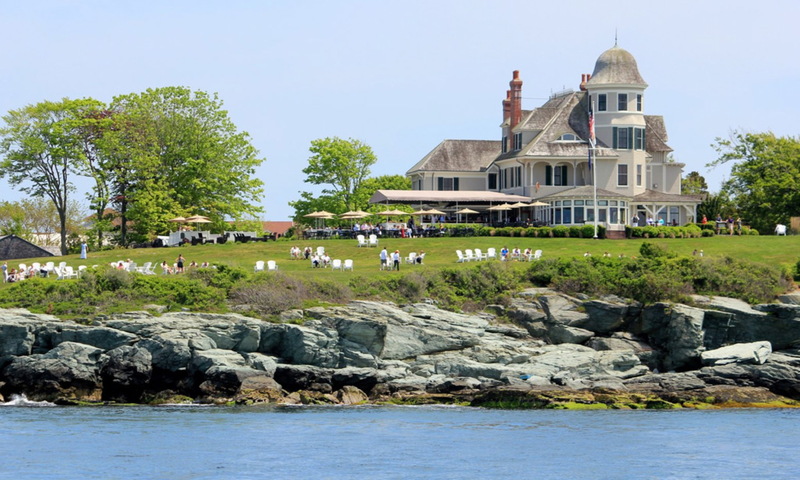 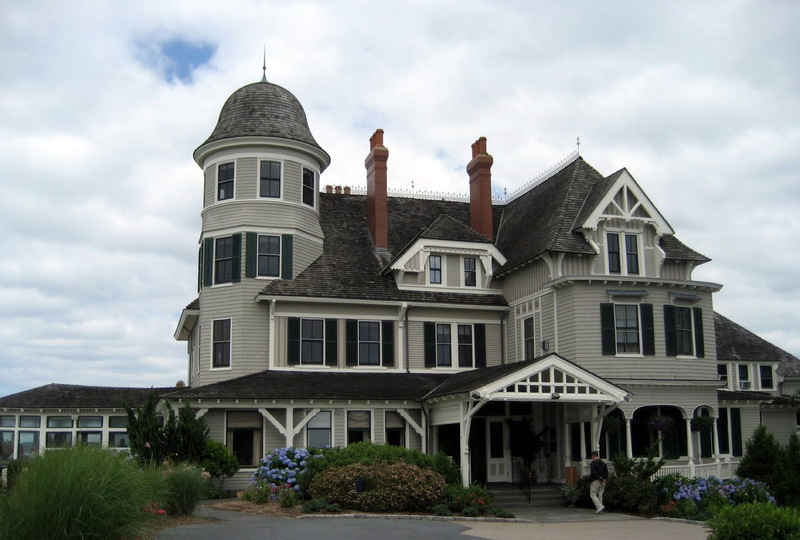 Built in 1874 as a private residence, The Inn at Castle Hill is a large 2½-story, cruciform-plan, complex-hip-and-cross-gable-roof Modern Gothic house perched on a bluff overlooking the Atlantic Ocean in Newport, Rhode Island. 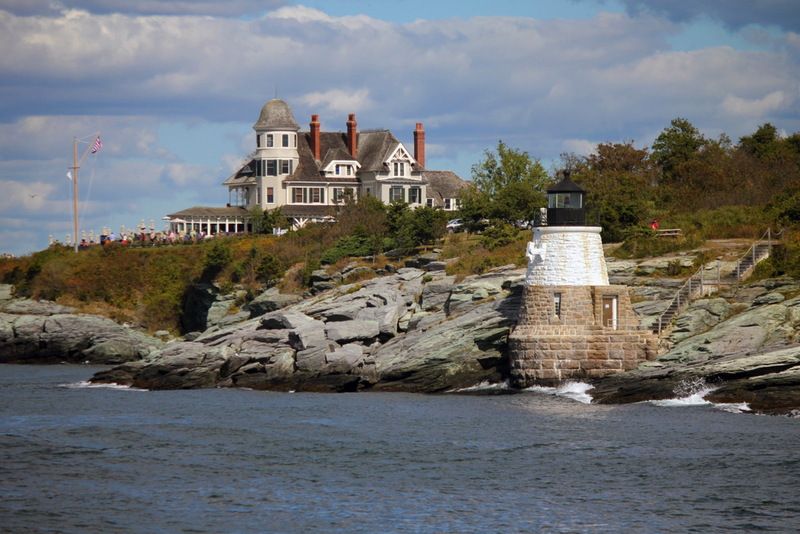 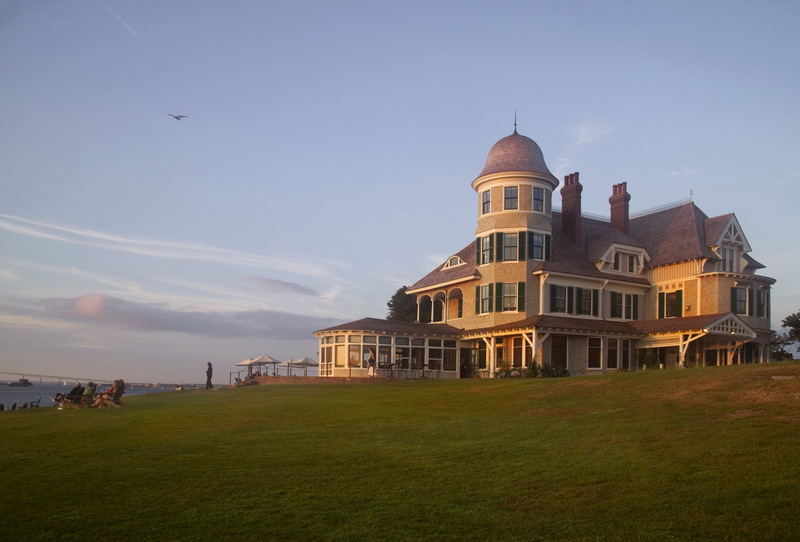 In 2003 Northeast Collaborative Architects were commissioned to spearhead a significant restoration project on behalf of owners of the Inn, The Newport Harbor Company. 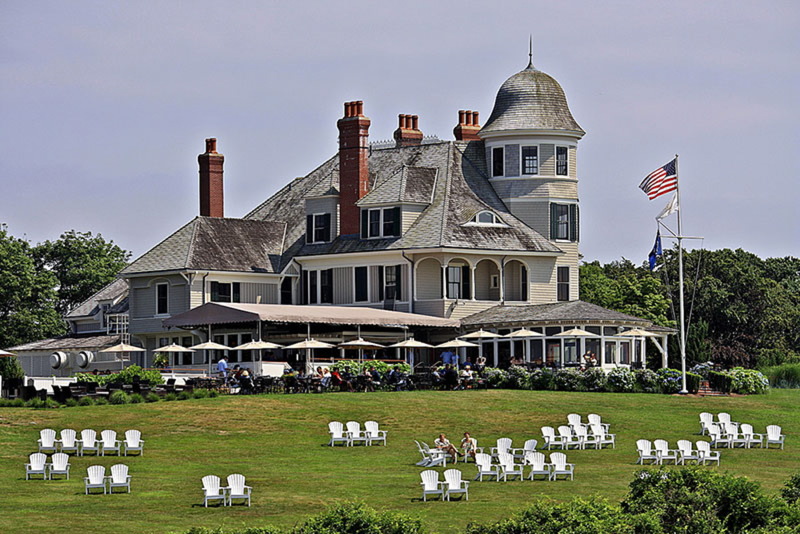 We were hired by The Newport Harbor Company to do a complete roof restoration over the course of the ‘03 – ‘04 winter. 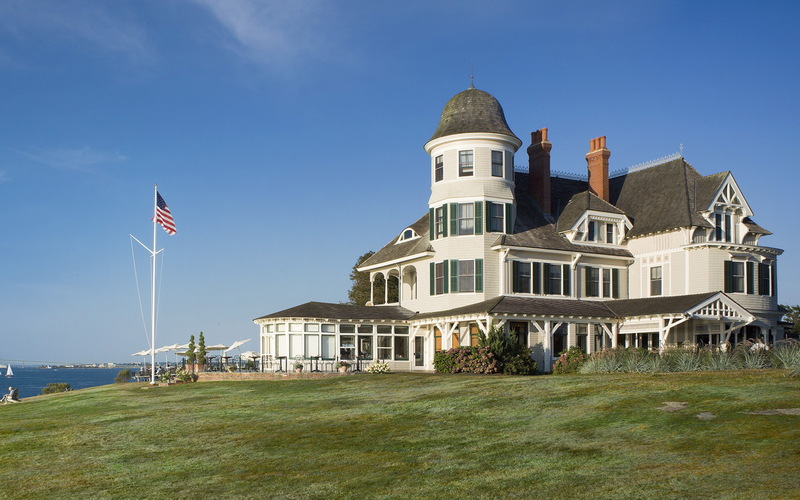 The project included the installation of a western red cedar shingle roof, with copper flashing throughout.